Knowing how to make hash oil will be common place as cannabis becomes more and more accepted by the masses. So please enjoy this educational journey. This article brings me back to my youth when I was learning how to cook back in middle school! Rick Simpson Oil (RSO – sometimes called Phoenix Tears) is a type of edible cannabis hash oil, and is typically created from high-THC medical cannabis strains. Please note that while the doctor in the video mentions that Rick Simpson oil is often used for cancer patients, it can also be used to provide relief for epileptic seizures, chronic pain, nausea, and many other conditions. The method to create cannabis oil as described in this video is very safe, but it’s important to note that the safety comes from following the instructions exactly. ALL solvents, like alcohol, are highly flammable and MUST BE treated with extreme caution and care. 1 ounce of medical cannabis buds – very dry & ground up – 2-3 ounces of medical cannabis trim can be substituted. 1 gallon Solvent (High Proof Alcohol) – 1 large bottle of Everclear is the recommended solvent for this cannabis extraction (Everclear is a very high-proof drinking alcohol that is suitable for human consumption). If Everclear is not available for sale in your state, other natural high-proof drinking alcohols made for consumption by humans can be substituted. The higher the concentration of alcohol (proof), the better. For this method, never use alcohol that was not intended to be consumed by humans (like rubbing alcohol)! Anything besides alcohol in your solvent may be left over in your cannabis hash oil, so higher proof spirits work best since nearly everything will be evaporated away, and anything left over is safe to eat. The solvent will be used to extract the essential resin and oil (the “good stuff”) from the cannabis buds or trim. After all the solvent (alcohol) is evaporated away, you will be left just the pure cannabis hash oil extract. 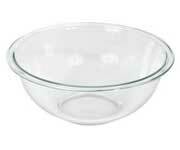 Medium-sized Mixing Bowl – Mixing bowls made of Pyrex glass or ceramic are best – avoid using plastic or metal mixing bowls. Straining Device – Used to strain your cannabis alcohol mixture and remove the solid plant matter. This leaves you with just the liquid containing the resin and cannabinoids from the cannabis. A separate container to catch strained liquid – A 2-quart mixing bowl works great, or you can get creative. 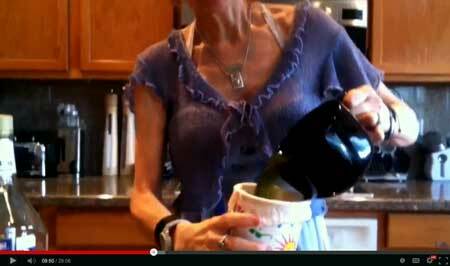 The doctor in the video uses a tall, wide cup she found around the house. As you strain out the plant matter from your mixture, this container will catch the liquid that comes out the bottom. Double-Boiler Setup (or a pot and pan that stack neatly on top of each other) – A double-boiler is a type of pot and pan setup that can be found at any home improvement or super store. A double boiler allows your top pot to sit in a “bath” of water, so that the pot with your solvent never directly touches the stove’s heating element. 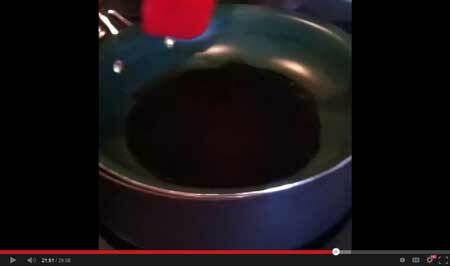 The top pot should be made of “non-stick” material and needs a lid that will close over it tightly. If you don’t have a double-boiler, you can use a pot and pan that happen to fit together nicely. It will work as long as the bottom pan is full of water and the top pan sits comfortably on top. 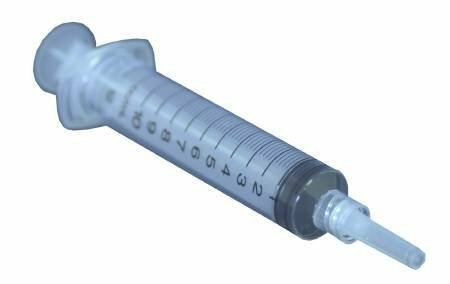 Plastic syringes – These are often used for kid’s liquid medicine, and can be found at the drug or grocery store. Because you are making such a concentrated form of cannabis extract, you will need to use these in order to dispense tiny amounts of cannabis hash oil. Heat Source– An electric stove in your kitchen would work well. It is more dangerous to use a gas stove (if that’s what you have) since a gas stove uses an open flame – you must use extra caution with a gas stove as the flame can ignite your solvent – keep anything containing alcohol at least 3 feet away from the flame of a gas stove at all times. A portable electric burner or a large tea warmer also work well. Ventilation – your preparation space should be a large open area with excellent ventilation. Open any windows and have at least one fan moving the air around. Turn on the fan above the stove if it’s available. Solvent fumes in the air can catch fire, so the best thing you can do to protect yourself during this process is to ensure there is good ventilation in your preparation space. Make sure you read all the important safety precautions before getting started! Cooking time is about 30 minutes, and total preparation is 1 hour – After you’ve gathered all your supplies, it should take about an hour to make your edible hash oil. 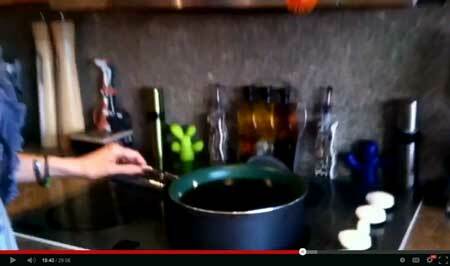 The first time you make edible hash oil will probably take longer. I recommend blocking off at least 2 full hours for your first time. Preparation is key! Make sure you have all the proper supplies ready BEFORE you get started. Make sure you have your double-boiler, your extra flat surface 3+ feet away from the stove, you cannabis (ground up), your bowl and a bottle of your chosen solvent. Dump the very-dry, ground cannabis flowers or trim in your first mixing bowl. Make sure you have at least few inches of space above the cannabis material, as you will be soon pouring a liquid into the bowl with the cannabis. 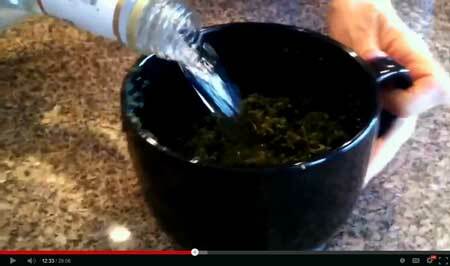 In the video, the doctor uses a giant ceramic mug as a mixing bowl and adds an ounce of dried and ground medical cannabis buds. Cover your cannabis material completely with your solvent (Everclear), and add about an extra inch worth of additional solvent over the top. As you can see, the cannabis material has been completely covered with solvent, and there’s a little bit extra solvent poured over the top so there’s room to stir everything. 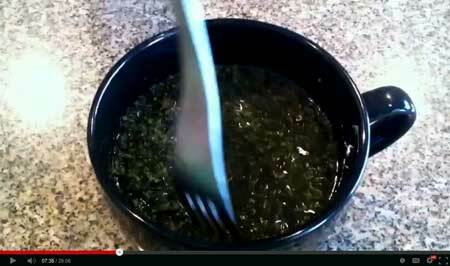 Work the cannabis material immersed in the solvent, using your mixing spoon, for about three minutes. This moves the cannabis material around and allows the solvent to dissolve all of the oils/resin from the cannabis material into your alcohol. Mix it around, mash it down, and generally make sure that all the herb is being moved around so the alcohol has a chance to dissolve all the resin from the cannabis. Carefully pour the cannabis solvent oil mix through your muslin bag (or whatever you’re using to strain the mixture) and allow the strained liquid to pour into your other clean container. This strained liquid contains all the extracted resin from the cannabis, which has been dissolved into the alcohol. 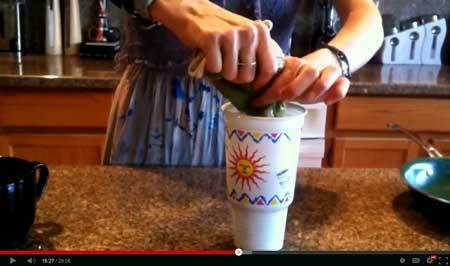 You may want to work the bag so you get a much liquid out the bottom as you can. Put your cannabis material back into your original mixing bowl, so you can wash it again with the solvent to dissolve any remaining cannabinoids into the alcohol. Again add fresh solvent to the starting material until it is once more immersed in the solvent, then work it for three more minutes with the wooden spoon you have been using. 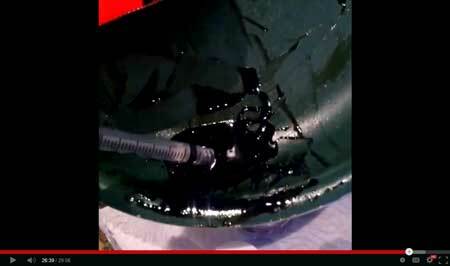 Strain this additional solvent oil mix into your other container (that is holding the solvent oil mix from the first wash you did) just like you did before. Trying to do a third wash on the plant material would produce very little oil and it would be of little or no benefit as a medicine. The first wash dissolves 70 to 80% of the available resin off the starting material, the second wash then removes nearly all the remaining resin that is of benefit. 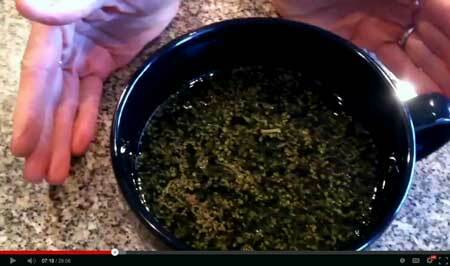 Pour the solvent oil mix from the first and second washes into the top pot of your double-boiler. Your bottom pot should already be filled with water. Everything is now ready to evaporate/boil off the alcohol, and you will soon be left with just the extracted pure cananbis hash oil. If you don’t have enough room for all your mixture in the top pot, it is okay. As the level in the top pot drops in the next step, you can continue to carefully add any remaining part of your liquid mix, until you have nothing left. Step 7: Turn heat on high until the liquid in the top pot begins to bubble, then turn off heat immediately. The heat from the water bath will continue to heat the top pan until the Everclear is evaporated away. Make sure there are no sparks or open flames or red hot elements in the area while you are evaporating the solvent off, because the fumes produced from the solvent are very flammable. Avoid breathing in the fumes that solvents produce. Double-check that you have all windows open, and a fan blowing across the room. Make sure the fan above your stove is turned on if you have one. 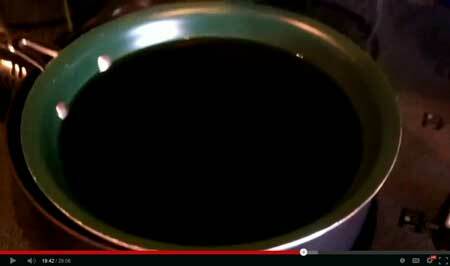 Now turn the heat on high, and watch closely until you see the dark green mixture in the top part of your double-boiler. 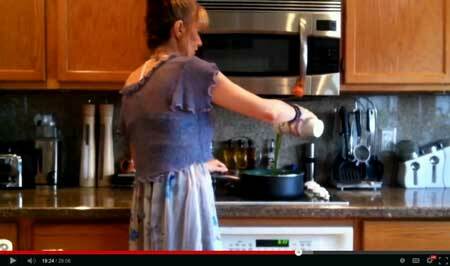 Once you see that the dark green mixture is bubbling, immediately turn off the heat. Once the top pan is bubbling, it usually takes about 15-25 minutes before you’re ready for the next step. 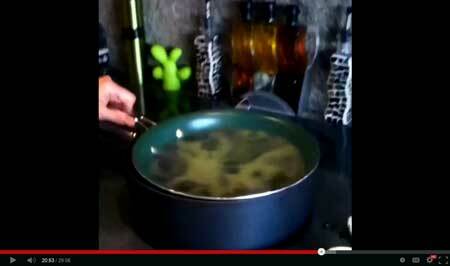 When checking on the liquid, you are looking for bubbling in the top pan which means the alcohol is cooking away. The bubbling will begin to slow down as the alcohol gets cooked off, but you should still see bubbling along the edges. If the liquid has stopped bubbling but is still runny, you may turn the heat back on low for a moment until it starts bubbling again. You are keeping the heat on low (at max) because you want to avoid letting the mixture get too hot, which will boil away some of the potency of your medicine. Heat is not as important at this point. Even if this mixture cools to room temperature (which is unlikely even in a cold room), the alcohol will all eventually evaporate away as long as you continue to stir. Everything you started with has been reduced to this. 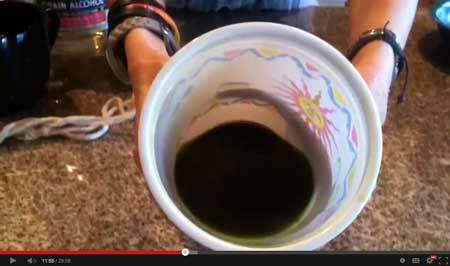 You washed the cannabis with alcohol to get the oil, and then strained away all the plant matter. Now you have evaporated the alcohol so you are left with just the cannabis oil. While the oil is relatively soft now, once it cools down it will become thicker, almost like putty. You should work quick and steady to place this mixture into a plastic syringe, which will make it easy to store and dispense your medicine. Remember, this is a lot of medicine, and the starting dose is half the size of a grain of rice. Quick Tip: Mix the warm cannabis oil with coconut or olive oil if you need to make less potent doses, or if you plan to use this topically on your skin. 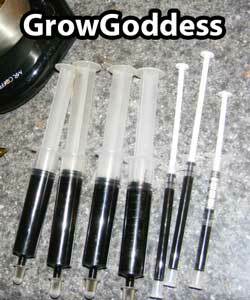 For edible doses, you are using plastic applicators or syringes with no needles. These are often used to dispense medicine for children, and can be found at the drug store or grocery store. Use the plunger of the syringe to slowly draw up the warm cannabis oil. The first few syringes will be easy to fill, but as you have less and less liquid remaining in the pan, it will become harder. That’s totally normal; just take your time and do your best. If there is some amount of cannabis oil left which you cannot fit in a syringe, you can put the remaining oil in any sort of small closed container, and you will be able to use a toothpick to get tiny rice-sized pieces for individual portions after it cools. The semi-runny oil will become much thicker after it cools – if the oil becomes too thick to push out of the syringe, simply run hot water over the syringe to soften the cannabis oil. Store the cannabis oil in a cool, dark place such as a cabinet. A special thank you to T. H. Hunt DNM for uploading this amazing training video! When making Rick Simpson oil, choose a large area with excellent ventilation. Open any windows and make sure have at least one fan moving the air around. Turn on the fan above the stove if it’s available. This is absolutely essential for safety, as alcohol fumes can ignite. If you have sensitive lungs or respiratory problems, it is also suggested that you get a mask to protect your air passages from being exposed to the fumes from the alcohol evaporating. Be sure to have the proper setup equipment. You MUST use a double-boiler type pot and pan setup, where the solvent pan sits on top of a water pot – NEVER PLACE THE SOLVENT PAN DIRECTLY ON THE STOVE’S HEATING ELEMENT!!! This applies to both electric and gas stoves. The most danger in this method comes from using a gas stove – this is simply because there is an active, open flame. 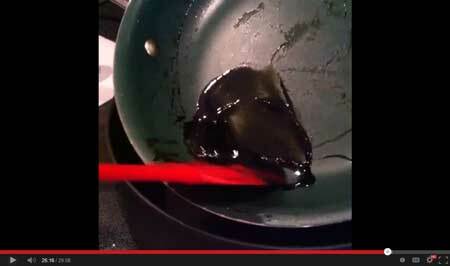 For this reason, USE EXTRA CAUTION WHEN MAKING YOUR OIL ON A GAS STOVE! NEVER, NEVER, NEVER have your solvent pan anywhere near the gas stove while the flame is on!!! I can’t stress this enough – your solvent pan will catch the open flame very easily … even when it’s many inches away from the flame!! Double check to be sure the flame is off before bringing your solvent pan back to the stove! Do NOT make your oil when you’re in a hurry or have distractions going on around you. Being in a hurry or having your attention distracted will create unexpected hazards. No matter how many times you have to reheat your water pot before the solvent burns off, do NOT grow impatient with this water method. The entire process takes about an hour and really does go quickly. It’s the safest method and keeping things 100% safe is worth the extra time – again, NEVER EVER set your solvent pan directly next to or onto the heating element of your stove! After bringing your water pot to a full and rapid boil, check and double check that you’ve turned off an open flame heating element BEFORE placing your solvent pan back on top of the water pot! What conditions can edible cannabis hash oil be used for? 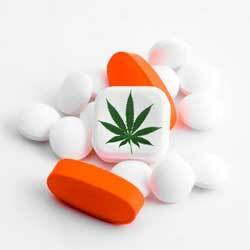 Strong Warning: Cannabis may provide relief for several conditions, but cannabis has not been proven to cure anything. Please beware any sources that claim that cannabis hash oil can actually cure any condition. There is not enough evidence to back up these claims. While there is a lot of evidence that cannabis provides relief for certain conditions for many patients, it has never been clinically shown that cannabis cures anything. Part of the reason we do not have much evidence about the true healing effects of cannabis is that the widely illegal status of this plant has prevented medical researchers from conducting clinical studies. Until there is evidence to back up the claims of all the benefits of medical cannabis, please note that cannabis is widely considered an alternative medicine and should never be used in place of professional medical care. It is extremely important that you consult with a medical professional before making any changes to your health regimen, including the addition of ingesting medical cannabis. You may be surprised at how many doctors are educated and willing to work with patients in regards to using medical cannabis. I do not believe anyone should ever use medical cannabis as an alternative to professional medical treatment. 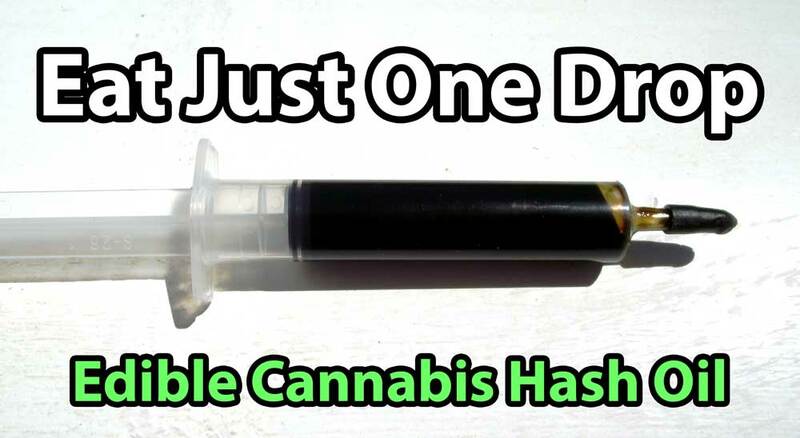 I do believe that there are times when all other options have been exhausted, and cannabis hash oil may be used as a last resort option for very serious illnesses. Please be responsible and talk to your doctor. Can I Purchase Edible Cannabis Extract Oil Legally On the Internet? Please note that you can purchase CBD-rich hemp oil legally in most places worldwide. This oil is incredibly expensive and derived directly from hemp (a distantly related cousin of medical cannabis). Some companies are advertising “Real Scientific Hemp Oil” which is NOT the same thing as “Rick Simpson Hash Oil”. Real Rick Simpson oil comes from the buds of medical cannabis strains, not from hemp. Sometimes people call RSO “hemp oil” which confuses things even more. But no matter how it’s advertised, if the oil doesn’t contain significant amounts of THC, it is NOT real cannabis hash oil, and you should know that you are purchasing something that is different from the cannabis hash oil that has been featured in recent news, including the documentary “Weeds” by Sanjay Gupta. In all the documented cases of people being “cured” by cannabis oil, the medical cannabis strains used had significant levels of THC, even if they’re also high in CBD. There is a growing body of evidence that you need the whole extract from cannabis flowers to get the majority of the medicinal effects of cannabis. All the compounds in cannabis work together in what is know as the “entourage effect”. Hemp does not contain the variety of cannabinoids found in cannabis that produces the entourage effect. In fact, currently there is zero evidence that CBD oil derived from industrial hemp has any medical benefits at all. Please educate yourself about what’s available to you, and avoid getting caught up in all the current scams with people taking advantage of people’s lack of knowledge and understanding. While CBD-rich hemp oil may provide some of the benefits of CBD (which is just one of the cannabinoids found in cannabis plants), hemp oil is NOT the same thing as full cannabis extract hash oil. It is almost always cheaper to make edible cannabis hash oil yourself, and you will know you are getting the full benefits. Currently there is zero evidence that CBD oil derived from industrial hemp has any medical benefits. Please do your research and avoid getting scammed! Basically stick with the pure Cannabis plant! Please note: CBD-rich hemp oil is very expensive and derived directly from hemp (a closely related cousin to medical cannabis). This oil provides a source of CBD, but does NOT contain the bouquet of cannabinoids found in full cannabis extract hash oil. What makes a cannabis hash oil “edible”? Raw cannabis that is eaten does not have the same effects on the human body as cannabis which has is smoked or vaporized. Why is this? 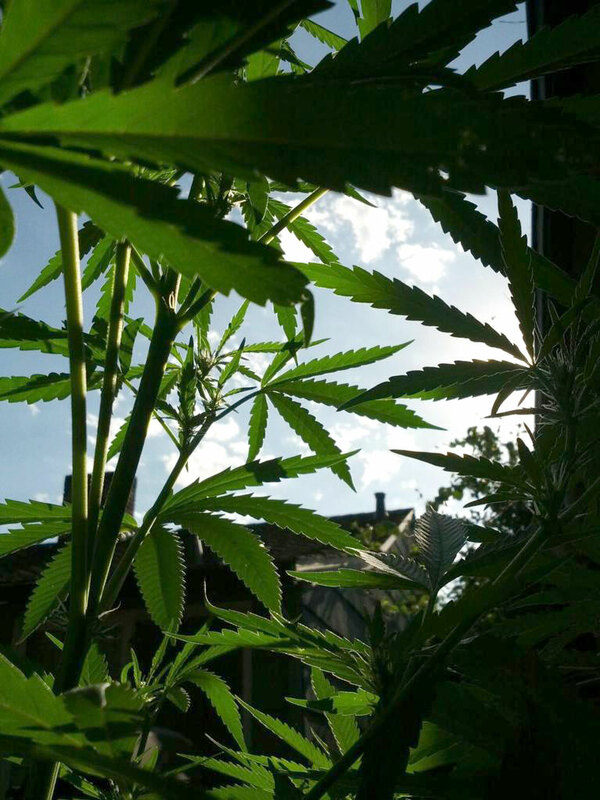 In order for a cannabis hash oil to be most effective when eaten, the cannabinoids need to be “activated” through a process known as decarboxylation. You will get some of the benefit from cannabis without decarboxylation, but this heating process activates many of the pain relief and anti-nausea effects. Basically, the cannabinioids need to be heated up. This happens naturally during smoking or vaporizing, but must be done manually when preparing any sort of cannabis extract to eat. In the process of making this edible hash oil, you heat up the entire cannabis mixture while evaporating off the solvent. This heating process naturally decarboxylates your cannabinoids and prepares your medical cannabis oil for ingestion. It can get confusing, so I hope this guide helps! Traditional hash is made from kief which is the heads of the resin glands called trichomes. It can be produced by rubbing cannabis over a dry screen, or with filter bags and ice water, called water hash or bubble hash. BHO is butane hash oil or some people call it honey oil. This process uses butane as a solvent instead of alcohol, and like Rick Simpson oil, the essential cannabis oil is stripped from plant matter and then reduced into a concentrated form for a potent result. Wax is a form of BHO, its consistency is like wax instead of like a sticky oil. There is also a form called shatter which is more transparent amber colored and hard, more like rock candy. Shatter – A very high-potency cannabis concentrate – similar to wax, but hard and brittle like candy – usually amber colored. Hash oil can be made with several other solvents like high proof drinking alcohol or isopropyl alcohol, etc. The edible hash oil produced in this article is a type of hash oil made with Everclear. 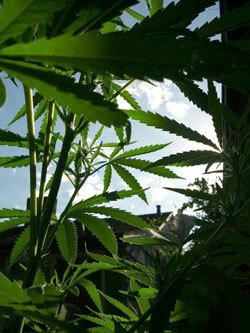 Hemp oil is sometimes mistaken for Cannabis Hash oil and vice versa. Oil that is derived from hemp is NOT the same as cannabis hash oil, and there is no evidence so far that it provides any medicinal effects. Learn more. Rick Simpson Oil (RSO) is a complete extract of the oil from medical cannabis flowers that can be eaten. Real RSO always contains a high level of THC (and sometimes also CBD). The edible hash oil produced in this article is a type of hash oil made with Everclear. Edibles & Cannabis Butter – Usually the cannabis is extracted into an oil or fat (like cannabis butter), then either eaten alone, or cooked into a recipe. 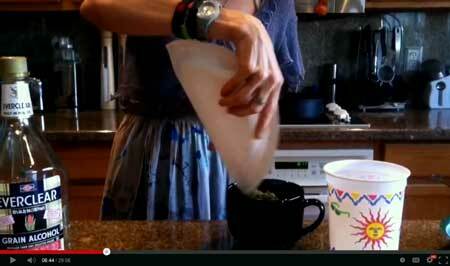 A new machine makes it extremely easy to make edibles, extracts and cannabutter – learn more! Hash can be smoked but most of the oils melt so unless you put it on a bowl, most people use what is called an oil rig to “dab” it from a heated titanium skillet or pad and draw the vapor into a small bong or bubbler. The nail or skillet can also be glass or quartz. Just search for dabs of wax or dabs of shatter on youtube to see. Generally BHO and other oils will be more potent than regular hash. 70-90% THC instead of 40-50% in regular hash. Unless the process of making the extract or concentrate has involved heat, you will need to heat up these extractions before eating to “activate” (decarboxylate) the cannabinoids for some of the effects, especially the pain-relieving and anti-nausea effects. You can still get some of the beneficial health effects even without decarboxylation, but it won’t affect your mental state until heated up to turn the THC-A into the active form we’re familiar with, THC. 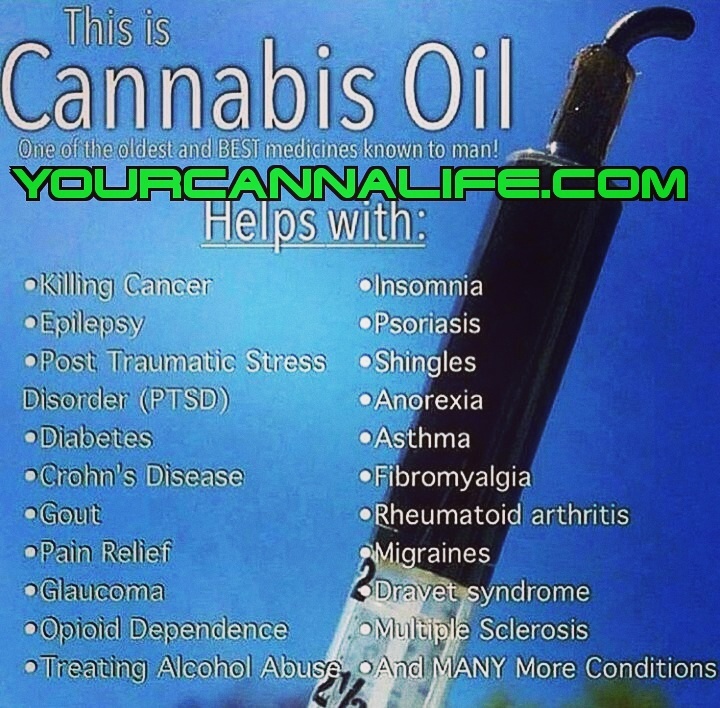 because i have been told about cannabis oil and how it has save many life. 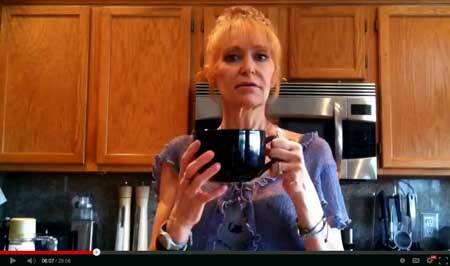 i order the oil and it was delivered over to me and i can tell the world that i am now a cancer survivor.